Superdry women's Super Sport leggings. Blurring the lines between studio and street, these Super Sport leggings are fashion forward without compromising on performance. 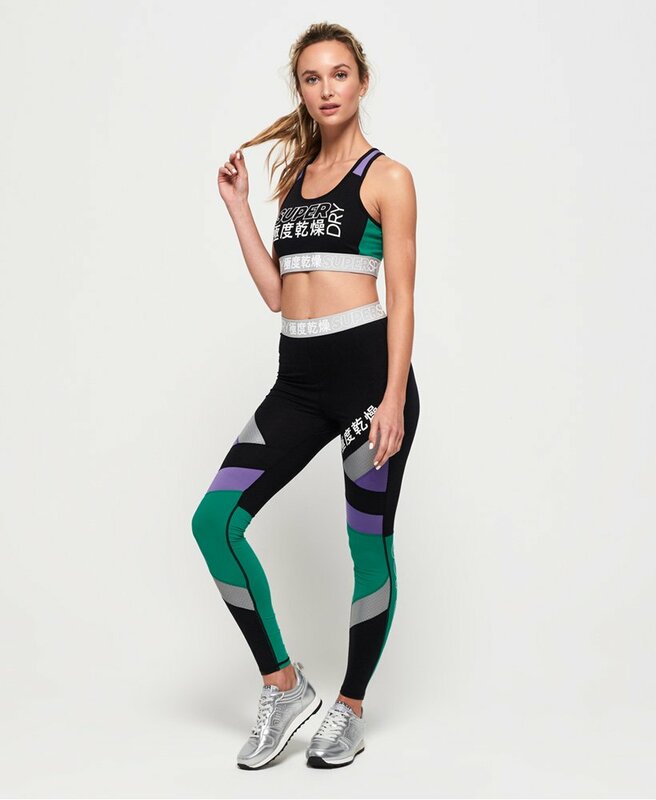 Crafted from a soft, lightweight fabric that moves with you, these leggings feature a contrast waistband and contrast panel detailing on the legs. Strategically placed mesh detailing helps with ventilation, while moisture wicking fabric keeps you cool and dry. For the finishing touch, the waistband has been decorated with Superdry Sport branding and Japanese inspired graphics.